6 to 10 SEP | International Conference "Aviation: The Impact on Time and Space"
CEI-IUL is one of the organizers of the International Conference “Aviation: The Impact on Time and Space” to be held on Santa Maria – Azores, September 6th to 10th, 2017. The event is organised by LPAZ Association, with the University of the Azores (UAc), the Center for International Studies of ISCTE – Instituto Universitário de Lisboa (ISCTE-IUL) and APEF – Portuguese Association for French Studies. The full program of the conference is available here. The impact of aviation on the 20th and 21st centuries on both time and space has been enormous. From the first adventurers and explorers, through the first legacy companies, the jet age, and now the low cost operators, aviation has tremendously changed concepts of time and space, which in turn has impacted on commerce, security and culture. This was notably an Atlantic phenomenon, for as its margins were bound together after the age of discovery and colonization through maritime navigation a common western culture emerged, albeit separated by the tempestuous ocean. 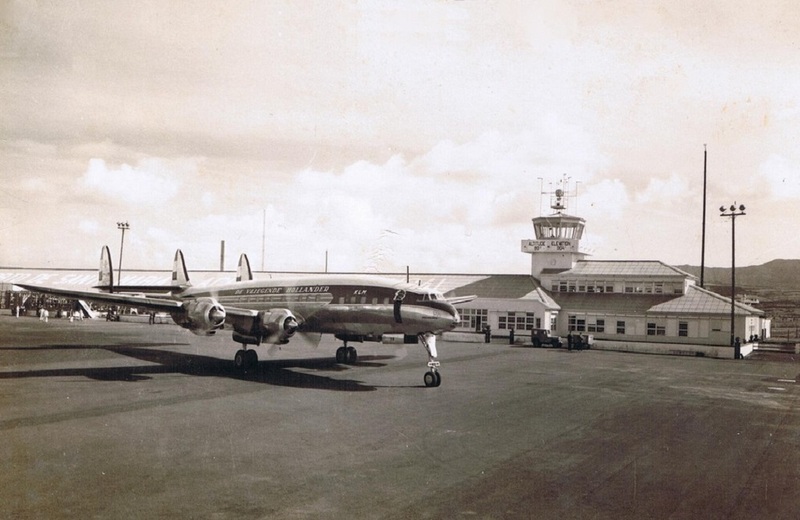 Aviation then largely succeeded seaborne traffic as the instrument for interconnecting and nurturing the cohesion of the Atlantic States, after the Second World War. For all territories, aviation was revolutionary and particularly for those spaces that were inaccessible, be it inland territories where a train couldn’t reach or a peripheral island with no practical harbor. St. Hellen’s airport operations starting in 2016 might be an interesting event in the light of all the Atlantic Revolutions. But this was, naturally, also a global trend through the great colonial powers who recognized aviation as an essential means to link their territories throughout the world. Different cultures which interacted only at long distance were now closer than ever. This promoted the connection of these different territories and cultures, but also raised security problems, commercial opportunities and the consciousness of identity and otherness. Aviation has brought together not only different cultures and their exotic goods and traditions, but also people and their interests and ways of life. This has bloomed the economy of peace – tourism – but has also turned airplanes and airports into battlegrounds and shaped new kinds of borders. Aviation allowed distant and inaccessible territories to be a day-to-day presence in the most populated centers of the world, and the other way around. A flux that has unified and diversified our civilization. Aviation: The Impact on Time and Space aims to analyze the role of aviation on changing the notions of time and space and its effects on commerce, security, culture and territories. From the first explorers and airliners who conquered new spaces that were forever changed by the function that they were called to fulfill; the cultural impacts of watching the world from a higher perspective and on a faster rhythm broadcasted by literature and the press, by cinema and other visual arts; the geopolitical issues that it brought about and how this has allowed powerful States to compete and others to insert themselves on the international sphere. Photo by Greg and Cindy / CC BY 2.0. ← Eleições Angola: Mudar para que tudo continue na mesma?